Naomi Osaka said she was “in a state of shock” on Jan. 26 after holding her nerve to battle past Petra Kvitova and win the Australian Open in a three-set thriller, giving her the world No. 1 ranking. The fourth seed and U.S. Open champion triumphed 7-6 (7-2), 5-7, 6-4 in a 2-hour, 27-minute epic over the Czech eighth seed to claim back-to-back Grand Slams and become the first Asian, male or female, to hold the top spot. Melbourne Park erupted in thunderous cheers as Osaka fell to one knee, head bowed, before collecting the trophy. It was a cathartic moment for the 21-year-old, whose breakthrough Grand Slam win at Flushing Meadows was marred by boos in the wake of losing finalist Serena Williams’ tirade at the umpire. 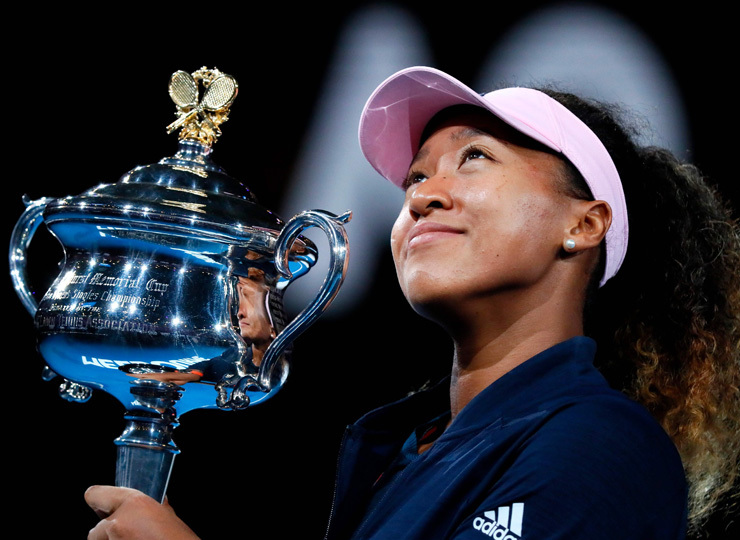 “I felt like I was in a state of shock through the entire trophy presentation,” Osaka said after her win in Melbourne. A rattled Osaka almost blew her title hopes when she was leading 5-3 in the second set and failed to convert three championship points. The never-say-die Kvitova forced a deciding set before Osaka finally edged ahead with a decisive break early in the third.